I received a package from Russia this week, which isn’t something that happens very often in Ricky Trickartt HQ. 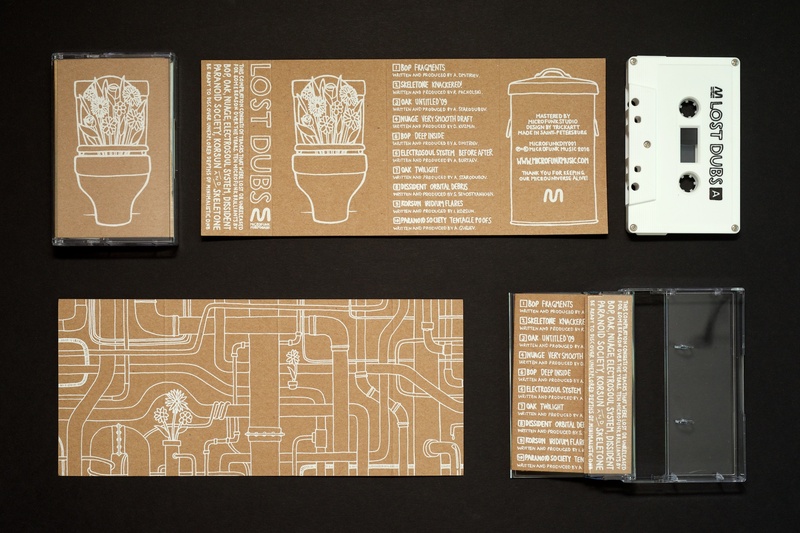 Inside were finished copies of some artwork I had created for St. Petersburg’s Microfunk – more cardboard cassettes, but in a totally different vein to last time! The album is a collection of tracks from various members and friends of the Microfunk collective that were lost or unreleased over the years. The concept was about finding new life in something that had been left behind. I was commissioned by Bop to illustrate this concept with the bouquet from the bowl, and got to have plenty of fun filing the inside with pipes too! I love print so much. 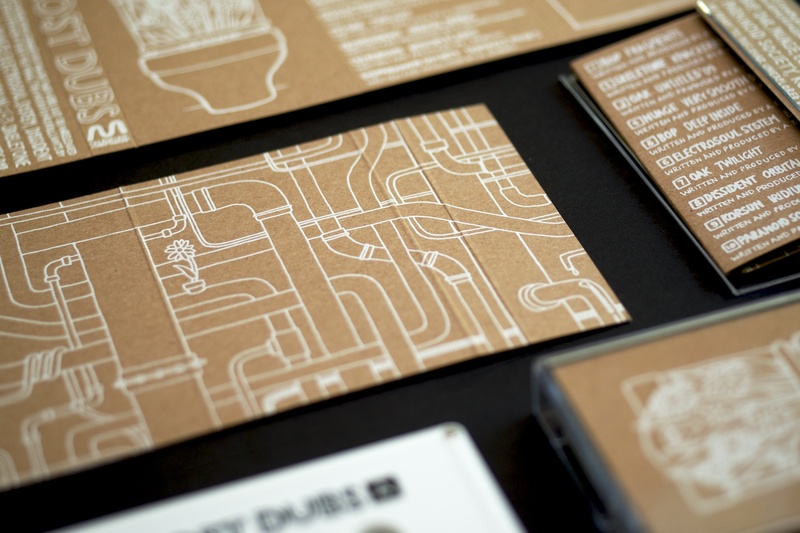 The art looks great on the heavy brown paper stock and white ink – it almost looks like I drew each copy myself with some super-fine white Posca markers. Thanks to Bop and everyone at Microfunk for the project. You can get a copy on their Bandcamp page.